Heath Bluebird House. Our Most Popular Model. 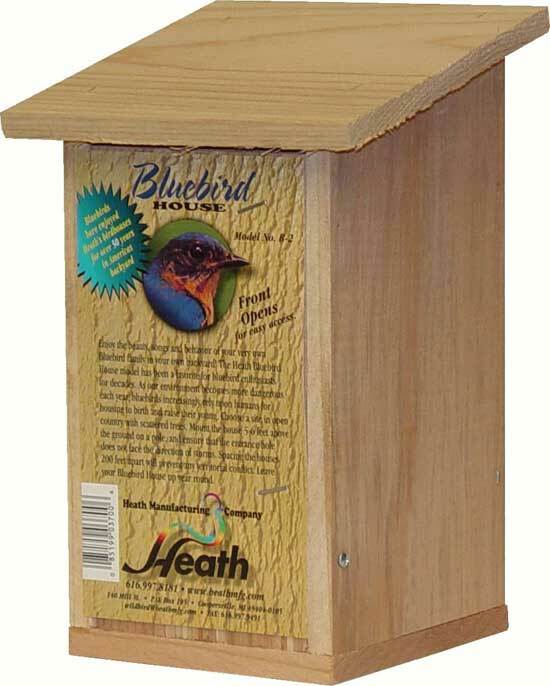 This bird house has an easy-to-open front for cleaning and access to mount our Hawk Eye Nature Cam to record the whole process of a bluebird nest. Should be post mounted approximately 5 to 6 feet above the ground or back mount on a tree. Entrance hole measures 1 1/2 inches. Dimensions: 17 inches x 17 3/4 inches x 6 1/4 inches.